The major league baseball catchers who have hit the most all-time home runs while playing as catchers. Being a catcher in the major leagues is a tough job. It involves a lot of strain on players, and consequently no catchers are among the all-time greatest home run hitters. So catchers have to be judged offensively vs other catchers. These are the catchers who hit the most home runs in the major leagues while catching games. Each one of these players hit more home runs than are listed, but while playing other positions. Listed here are the home runs the players hit while playing in games as catchers. Mike Piazza holds the record for most home runs by a catcher with 396. Piazza hit a total of 427 home runs in the major leagues, but 31 of those home runs came while he was a DH or playing 1B. All of Mike Piazza's home runs as a catcher came while he was playing for the Los Angeles Dodgers or the New York Mets in the National League. So Piazza holds the record for most National League home runs as a catcher. Carlton Fisk hit 351 home runs as a catcher. That is second in major league baseball history for catchers, and first in the American League. Fisk hit 376 home runs in his career, which was played entirely in the American League with the Boston Red Sox and Chicago White Sox. Johnny Bench hit 326 home runs as a catcher, all with the Cincinnati Reds. Bench hit 389 total home runs in his career. The extra 63 home runs came while he played 3B, 1B and in the OF. 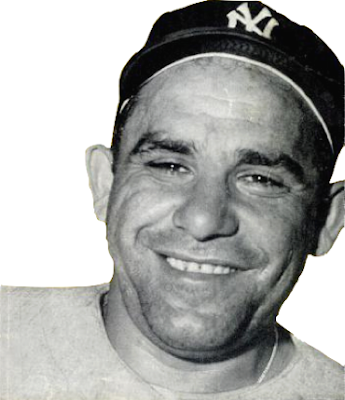 Yogi Berra hit 305 home runs as a catcher, and 358 home runs in his major league career, all with the New York Yankees from 1946 to 1965. In addition to catcher, Yogi played 260 games in the OF, two games at 1B, and one game at 3B in his career. Lance Parrish hit 299 home runs as a catcher, and 324 home runs in his career. Playing his entire career in the American League, Parrish played some games as a DH, as well as 30 games at 1B, and six games in the OF. Gary Carter hit 298 home runs as a catcher, and 324 total home runs in the major leagues. Carter played his entire career in the National League, and also played 137 games in the OF, 76 games at 1B, and three at 3B. After being diagnosed with brain cancer in May of 2011, Gary Carter passed away on February 16, 2012 from the same illness. He was just 57 years old at the time of his death. Ivan Pudge Rodriguez hit 298 home runs as a catcher, and 311 home runs in his major league baseball career.